Ceramic tile has been used as flooring for centuries. They offer great beauty and unmatched durability. 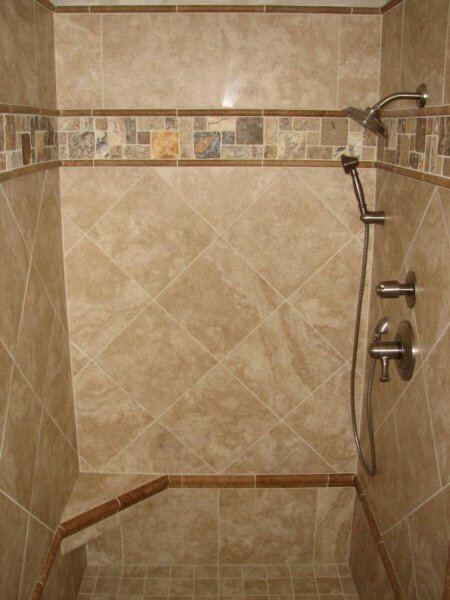 Tile offers significant advantages that no other floor can match. With tile, you can have a floor that’s uniquely yours, designed specifically for your home and taste. With very little maintenance, your tile floor will last a lifetime, adding dramatic beauty and value to your home. Tile continues to grow in popularity as a floor covering. Its natural, handcrafted look adds a stunning dimension to your dream kitchen or bath. Best of all, it looks good and is easy to maintain. Tile works well in areas with high foot traffic and is an excellent choice where water and dirt enter the house. Extensive choices of design patterns, with all of the possible combinations of size, texture and color, makes your dream kitchen uniquely yours. Ceramic tile is simply a mixture of clay that has been shaped and fired at high temperatures, resulting in a hard surface. The Porcelain Enamel Institute (PEI) has developed a scale to aid consumers in selecting appropriate tiles for their needs. Tiles are evaluated for wear resistance on a scale from 1 (lowest) to 5 (highest). PEI Wear Ratings:PEI 1: – Tiles suitable only for residential bathrooms where softer footwear is worn. PEI 2:– Tiles suited general residential traffic, except kitchens, entrance halls and other areas subjected to continuous heavy use. PEI 3: – Tiles suited for all residential and light commercial interiors such as offices, reception areas and boutiques. PEI 4: – Tiles suited for all residential interiors and moderate traffic commercial applications. PEI 5: -Group V Recommended for all interior residential and commercial uses. Floor tiles generally are 13×13 inch or 12×12 inch. There is an increasing use of larger tiles all the way up to 24×24 inch. Your All American Kitchens & Baths designer can review the range of choices and help narrow down the type that fits your individual need. Square tiles are the most prevalent but other shapes and edges are available. Your All American Kitchens & Baths designer can help you narrow down the choices based on your needs and tastes. Not quite sure what is available? You can visit our showroom and see what choices are available as you develop your dream kitchen or bath.